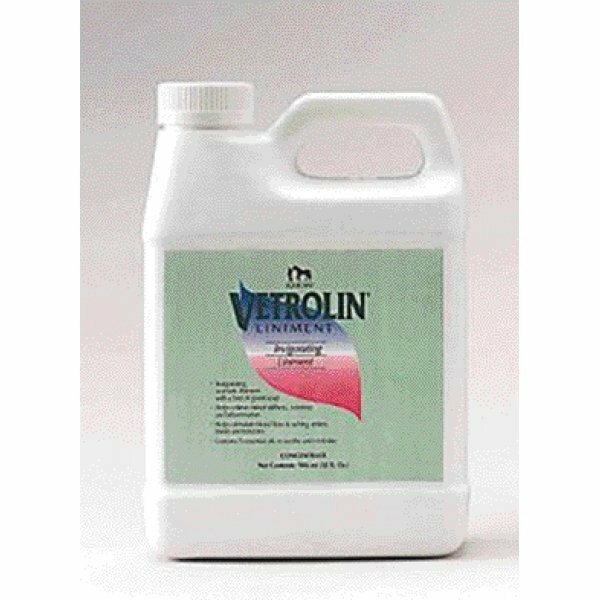 Relieves minor stiffness, inflammation and soreness in your horse. Invigorating, with a hint of green soap and a blend of five essential oils to help stimulate blood flow to aching ankles, knees and tendons. Can be diluted. and used as a body brace. 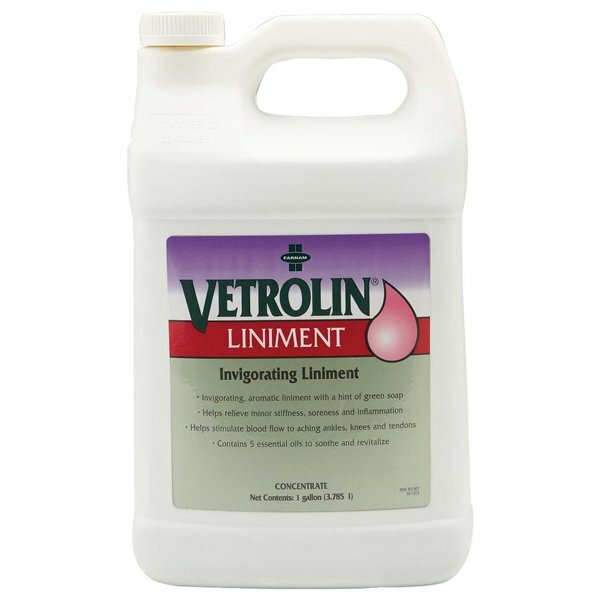 Vetrolin Horse Liniment has different options and/or variations, please choose below. Relieves minor stiffness, inflammation and soreness in your horse. Invigorating, with a hint of green soap and a blend of five essential oils to help stimulate blood flow to aching ankles, knees and tendons. Can be diluted and used as a body brace. Made in the usaMenthol 4%, Methylsolfonylmethane (Msm) 4 %, And Hyaluronic Acid (Sodium Salt) 10 Mg/ Fl. Oz. Plant Extracts Of Calendula And Rosemary, Oil Of Cajuput (Melaleuca Leucadendron), Alcohol, Water, Thickeners, Benzyl Nicotinate, Fd&c Yellow #5.